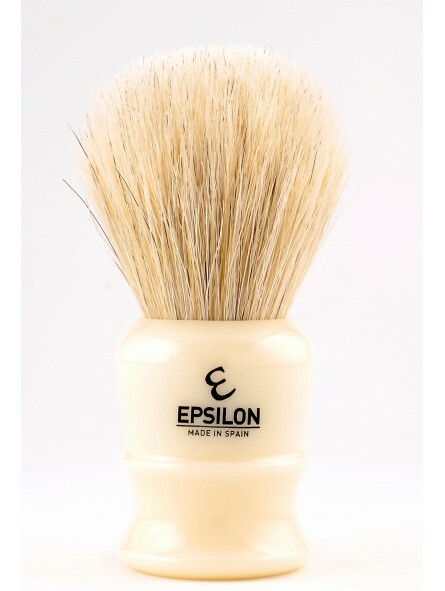 Epsilon White Horse Hair Shaving Brush handmade in Spain by Vie-Long. The 2nd Epsilon Generation is here for you to take a look at. 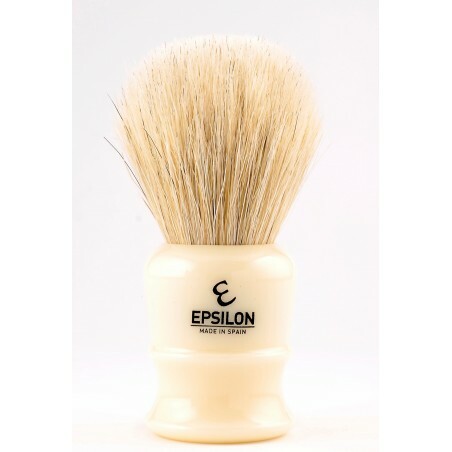 Epsilon Shaving Brushes are available in different hair types, lofts and shapes to allow wet shave lovers the one that suits their different needs. Longer lofts for those who enjoy bowl lathering their shaving cream or soap, shorter lofts for those that prefer face lathering or for those that use hard shaving soaps.